Pothashang News Service: Imphal, May 14, 2018: Imphal city was today reduced to less congestion as the “Joint Administrative Council, All Manipur under Five Tone Passenger Service” launched 48 hours cease-service strike since last midnight. The diesel-auto-rickshaw and diesel-van service providers intensified its strike to mount pressure to the state government for their demand to withdraw the government’s decision to ban diesel-auto-rickshaw and diesel-van entering Imphal city soon. Chief minister Nongthombam Biren Singh and the Traffic Regulation and Parking Committee (Imphal East and West) decided to ban diesel autos and vans during a meeting on April 25, with a view to control noise pollution and traffic congestion in Imphal. Biren Singh had said diesel run auto-rickshaws and diesel-van transport would be substituted by state bus service and e-rickshaws. The drivers alleged the decision is like an attempt not only to kill them but all their family members as well. They began this means of livelihood as the state government had permitted it. Street vendors were seen very less in the city. Some of them hired other taxi services to reach Imphal for trading. “It is totally peaceful today, no noise, no congestion; but less costumers”, said a book retailer, Huidrom Rajen trading near Imphal Polo ground. We travel on diesel vehicles as there are no other means. We welcome the decision of the government. But the government should bring a solution to the demand of the drivers, said a lady who was marketing at Ima market. A traffic police at Samumakhong, Khwairamband Bazar said I feel like a holiday today. Tests of pollution levels conducted here found that the noise and air pollution caused by diesel autos have crossed the permissible limits with the noise level exceeding 65 decibels. General secretary of the drivers council, Loukrakpam Sachikanta said pollution is not caused by diesel passenger service vehicles only. A policy to upgrade the present diesel passenger vehicles to compressed natural gas engines can be introduced if it is to reduce pollution, he added. According to department of transport, there are about 18, 000 diesel auto-rickshaws and about 7, 000 Winger and Tata magic vans running in the state. Out of this diesel auto- rickshaws around 6, 000 are running in the city. 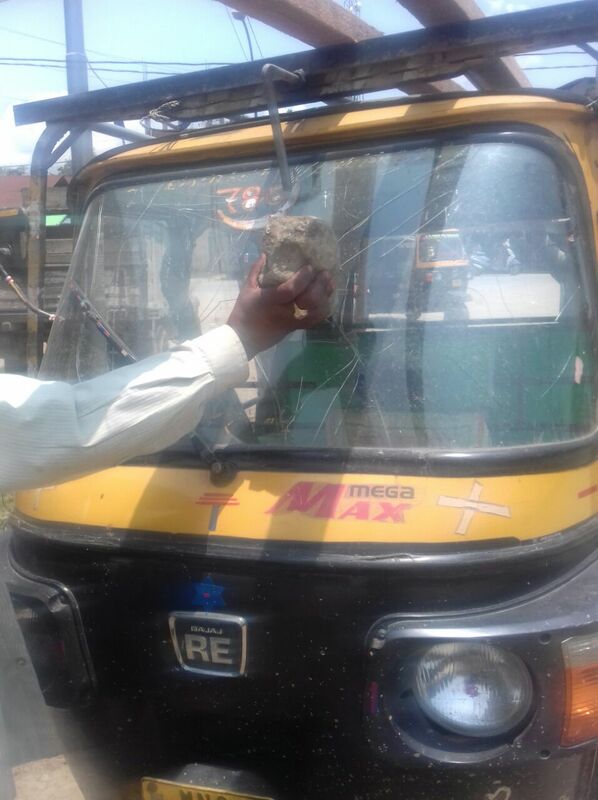 In the strike around 28 autos and vans were damaged by strike supporters in different parts of Imphal East and West for not supporting the strike.